The Western Canadian Pinball Championship (WCPC) is the showcase event at the Edmonton Pinball and Arcade Expo. 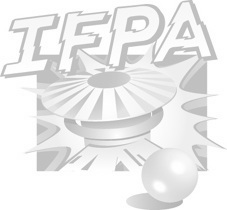 This will be IFPA sanctioned and will be an opportunity to get world ranking points and an opportunity to get into the top 16 places in ranking for an opportunity to compete in the Alberta Pinball Provincial Championship on February 2017 for a chance to win an entry into the IFPA State Championship Series in Las Vegas in March 2017. Come out, bring out your best game and see if you can compete with some of the best pinball players in the world. •The tournament will be using a HERB style (best score format) with unlimited qualifying attempts using PAPA position/rank scoring (1st 100, 2nd 90, 3rd 85, 84, 83, 82…). •The tournaments are fully open to the public along with your PRE-PAID admission to YEGPIN. •Qualifying can be attempted anytime during Friday or Saturday, but you must be available to show up for Sunday if you qualify for the playoff round. •Entries will be $3 each, 6 for $15. •Top 16 scores will qualify. (Up to 50 – registered competitors). •Top 24 scores will qualify. (Over 50 – registered competitors). •Finals start at 10:00 am on Sunday. •3 game Rounds, 4 player groups whenever possible (receives 2X bonus for 4-player games). Byes will be provided to the top qualifiers if there are over 100 registrants.